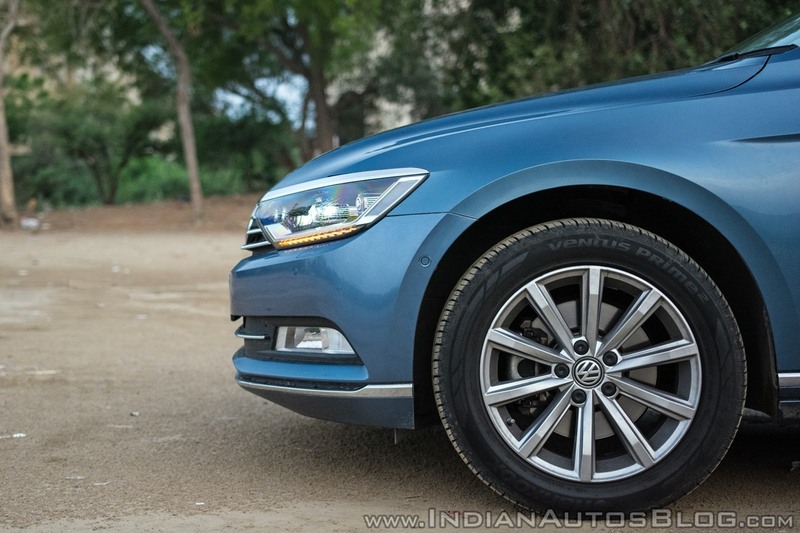 The Volkswagen Passat is a significant model for the German automobile giant in the Indian context as the company’s foray into our market was spearheaded by the sedan in 2007. March 2011 saw the introduction of the seventh generation model and although the eighth generation VW Passat was globally unveiled in July 2014, market conditions and a shift in buyer preference towards SUVs probably kept it away from our market. 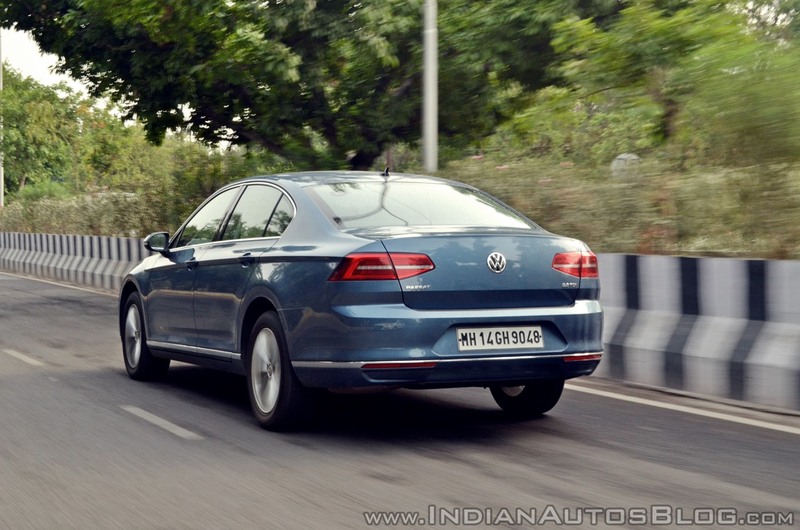 Although these conditions prevail, Volkswagen went ahead and launched the Passat in India in October last year. I spent some time with a VW Passat Highline to determine its relevance in a market dominated by crossovers/SUVs. Appearance wise, the eight generation VW Passat draws inspiration from the C Coupe GTE concept. Although an understated design overall, the low and wide front end gives the sedan a rather imposing face. VW has made generous but tasteful use of chrome. I especially like the chrome strip that runs along the lower edge all around the car. 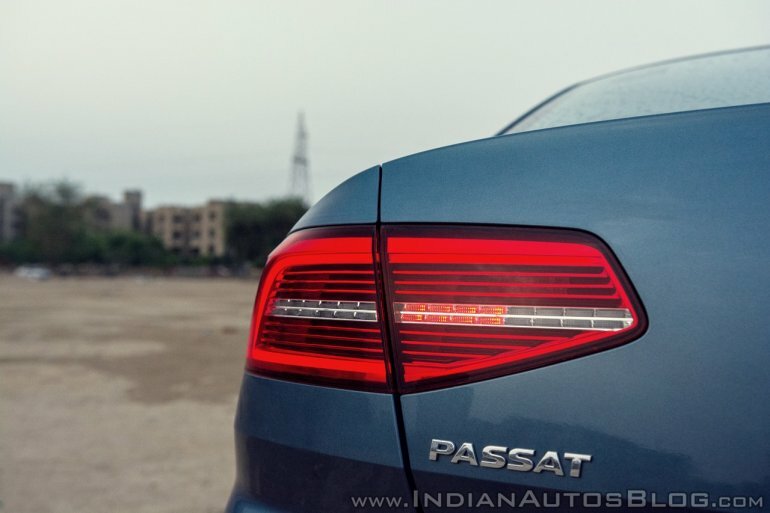 The tail lights get exquisite LED detailing playing a major role in enhancing the visual appeal of the rear end. Up front, the headlights are full LED units as well. Although the understated appearance may not turn too many heads, the classy appearance of the VW Passat is sure to go down well with its target audience. The Highline spec gets 17-inch 10-spoke alloy wheels. There are 6 exterior colour options to choose from – Pyrit Silver, Oryx White, Deep Black, Black Oak Brown, Atlantic Blue, and Mangan Grey. The one you see in images here is the Atlantic Blue shade. The most striking bit about the dashboard design is the Audi-inspired vent like element that runs along its length. It houses the air conditioning outlets and a classy analogue clock. The all-black treatment coupled with tasteful wood inserts and silver highlights looks pleasing. I like how VW has opted for the use of black instead of an increasingly clichéd black-beige combo. The rear seat, which is likely to host most owners of the Passat, offers generous space. It offers adequate under-thigh support and legroom, and despite the sloping roofline, headroom is generous enough for an average sized Indian. Rear seat occupants get their own temperature control as well. As one would expect in a car that costs upwards of 30 lakhs, the features list is fairly extensive. There’s an electric tilt/slide panoramic sunroof, Nappa leather upholstery, ambient lighting, a 3-zone climate control, electrically adjustable seats, memory function and massage function for the driver’s seat and more. Infotainment duties are handled by the Composition Media unit with a touchscreen display and 8-speaker sound system. Adding to the convenience are features like 360-degree Camera view and sensor operated boot control that pops the trunk with a wave of the foot under the bumper. The Passat, thanks to the presence of Park Assist, will also park itself making life easier, especially if you find yourself trying to squeeze into a tight spot. Safety has been prioritized with 9 airbags, ESC, ABS, Hill Start Assist, and all four disc brakes on offer. The VW Passat packs a 2.0 L TDI diesel engine paired with a 6-speed DSG automatic transmission. It develops 177 PS at 3,600 – 4,000 rpm and 350 Nm at 1,500 – 3,500 rpm. 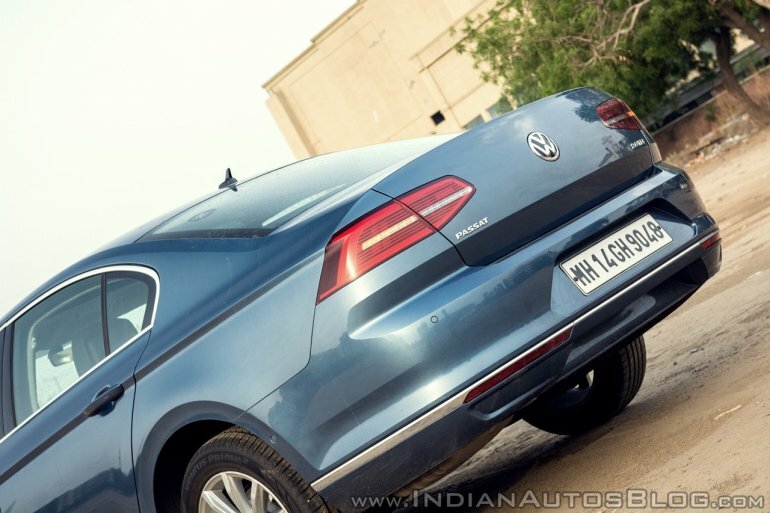 Volkswagen claims an overall fuel efficiency of 17.42 km/l. This is the only configuration on offer currently. The combination rarely gives you a chance to complain in terms of power delivery and gear shifts. There’s ample torque to ensure brisk acceleration and it also helps execute overtaking manoeuvres with relative ease. I, for one, preferred to let the gearbox handle upshifts/downshifts. You can always switch to using paddle shifters in case you desire more control over them. Dynamic Chassis Control brings with it five driving modes – Eco, Comfort, Normal, Sport, and Individual. These modes are fairly self-explanatory so, I won’t go deep into the details. I found myself sticking to Normal or Comfort as I felt they suited the car the best. Sport mode does sharpen throttle response, adds weight to the steering and tweaks damper properties (a segment first), but the power delivery seemed slightly jerky. Individual mode lets you tailor each setting as per your preference so, you can, for instance, pair sharp throttle responses with a soft suspension setup and so on. Although the suspension has been tuned for comfort, the ride quality at low speeds is on the harsher side. That said, an increment in speeds leads to a marked improvement. For its size, the VW Passat feels quite nimble from behind the wheel. That said, it isn’t exactly an enthusiast's car and that is perfectly fine since it isn’t aiming to be one. The Passat will keep you comfortable in the back seat through city roads and cruise along the highway effortlessly. Volkswagen offers the Passat in two grades – Comfortline and Highline. They are priced at INR 29.99 lakhs and INR 32.99 lakhs ex-showroom respectively. At this price point, it rivals the Skoda Superb, Toyota Camry, and Honda Accord. The Skoda, with which its shared the chassis, engine, and a lot more, is its chief rival. The other two are way more expensive and are already a generation old. If Volkswagen’s understated elegance appeals to you, then I honestly can’t think of any major negatives to keep you from buying one. 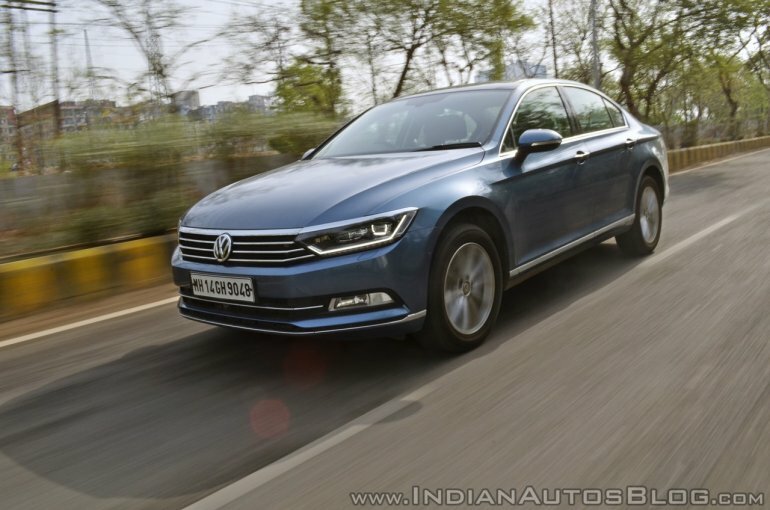 The VW Passat is comfortable, comes loaded with features, has a pleasant cabin, and offers solid build quality. 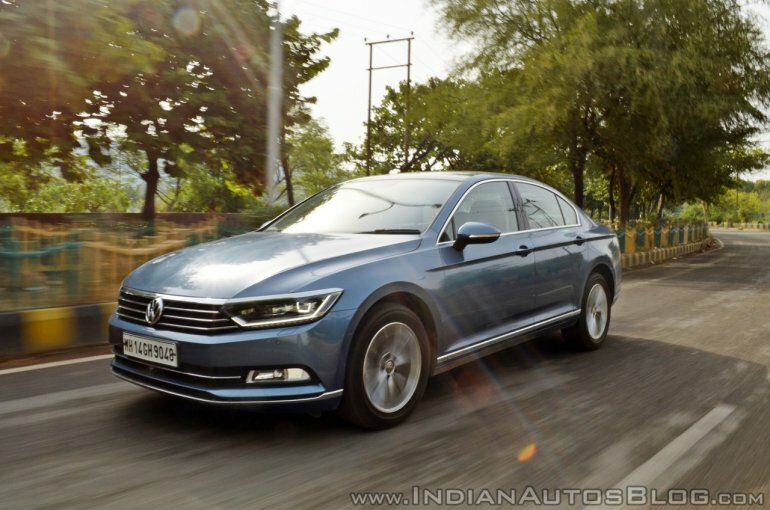 Even if your heart is set on that 30-40 lakh SUV, I suggest you take a good look at the Volkswagen Passat once. I think its got enough to make you reconsider that decision.